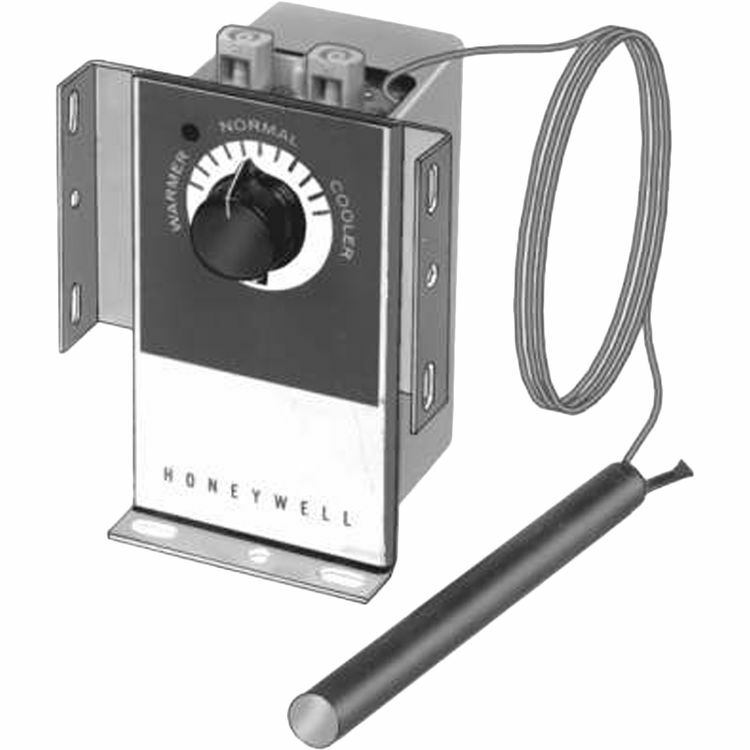 Honeywell LP916B1090/U Pneumatic Remote Bulb Thermostat. The Two-Pipe, single temperature, unit mounted, remote bulb pneumatic thermostat used to provide proportional control of pneumatic valves and damper actuators in heating and air conditioning systems. Integral Mounting Bracket, (2) 316297-00021 Bulb Hangers and 304528A Bag Assembly (mounting hardware).